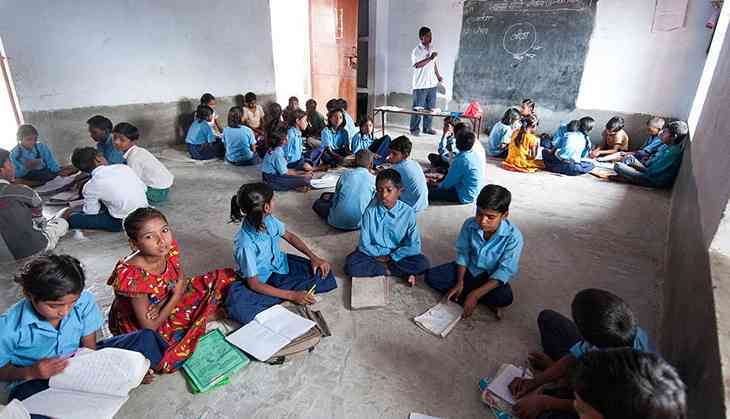 A recent report by the Comptroller and Auditor General (CAG) on the Right of Children to Free and Compulsory Education Act, 2009, known at the RTE Act, has confirmed irregularities in its implementation. One of the major irregularities mentioned in the CAG report, which was tabled in Parliament on Friday, is the reimbursement of fees for students from Economically Weaker Section (EWS) of society. Section 12 of the Act clearly requires private unaided recognised schools (not receiving any kind of aid or grants from the appropriate government or the local authority) to reserve 25% of seats for EWS students. They must be provided free and compulsory education from the age of 6 to 14. The schools get reimbursed for this. However, the CAG report points to several cases of excessive or irregular reimbursements. According to the report, in the period 2015-17, an amount of Rs 492.7018 crore was reimbursed by Ministry of Human Resource Development, for the benefit of 11.13 lakh children in 10 states. The average cost, thus,was Rs 4,424 per child per annum (PCPA). “It was noticed that unit cost PCPA ranged from Rs 5,400 (Uttar Pradesh) to Rs 23,805 (Tamil Nadu) in respect of 10 States/UTs to whom the reimbursement was made,” the report stated. The four states that recorded the most instances of irregularities were Karnataka, Madhya Pradesh, Bihar and Uttarkahand. In Karnataka, test checks of 10 blocks revealed excess reimbursement of fees of Rs 80 lakh in 124 schools due to “inclusion of inadmissible items of expenditure such as fees paid for cultural activities, repair and maintenance, insurance on rent, travelling expenses etc”. In Channagiri, Karnataka, the Block Education Officer (BEO) retained Rs 6.25 lakh of the reimbursement amount for 16 schools. The amount was not reimbursed due to non-availability of statutory records from the schools. The amount continued to remain irregularly in the Savings Bank account of the BEO from December 2015 until March 2016. Additionally, an amount of Rs 28.86 lakh was drawn in excess and retained in Savings Bank accounts by six BEOs during 2012-13 and 2015-16. About 1,30 unaided schools in Basavakalyan, Bhalki, Bidar and Humnabad taluks were reimbursed Rs 13.15 crore during 2012-13 to 2015-16 without receipt of the certified annual accounts. In Bihar, for 2011-12 to 2013-14, in three test check districts, 90 unrecognised schools (11 schools in East Champaran, 3 schools in Madhubani, 76 schools in Patna) were reimbursed fees of Rs 1.18 crore irregularly, whereas reimbursements must only be made to recognised unaided schools. In Madhya Pradesh, Rs 1.01 crore was paid to 303 unrecognised schools for 4,361 students during 2011-15 in 3 districts (Burhanpur, Dhar and Jhabua). Additionally, some schools were deprived of their legitimate dues when payment of Rs 1.63 crore was not made to schools in four districts (Balaghat, Datia, Dhar and Ratlam) during 2011-16. Interestingly, in Uttarakhand, madrassas, Vedic pathshalas and educational institutions primarily imparting religious instructions, which are not covered under the RTE Act, were also reimbursed. In DPO Udham Singh Nagar, 14 madrassas were reimbursed Rs 19 lakh as school fees till March 2014. DPO Udham Singh Nagar accepted the mistake, and confirmed that no further reimbursement was provided after 2013-14. The reimbursed amount is however, yet to be recovered. While the report itself does not mention 'corruption', but based on the data, it is safe to assume that the provisions of reimbursement to schools for admitting economically weaker section students are being massively misused. The CAG report has also revealed irregularities in other aspects of RTE Act implementation – recognition/de-recognition of schools, defiance with infrastructure norms, facilities for children with special needs, and maintenance of records of students among others.